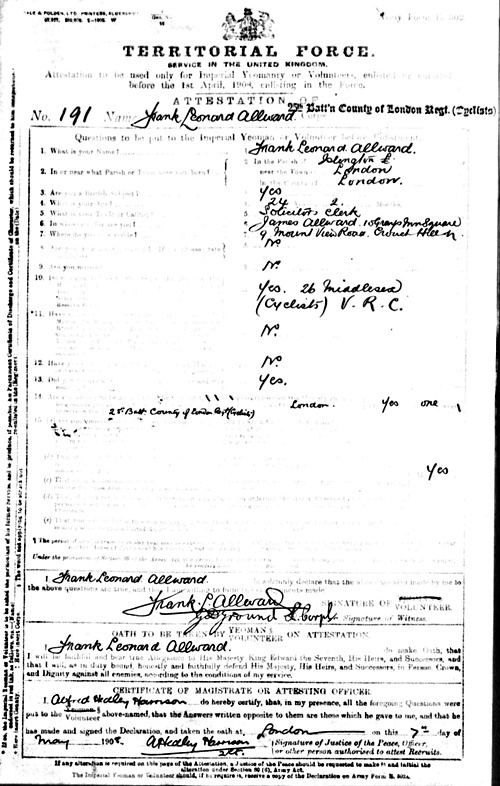 Frank Leonard Allward was born on 12 March 1884 in Islington, London. He was the fourth of six children born to James & Sarah Bathsheba Allward (nee Adams). Two of his siblings died during infancy. Frank was educated at Tollington Park College from 1893-1901 and was an exemplary pupil. 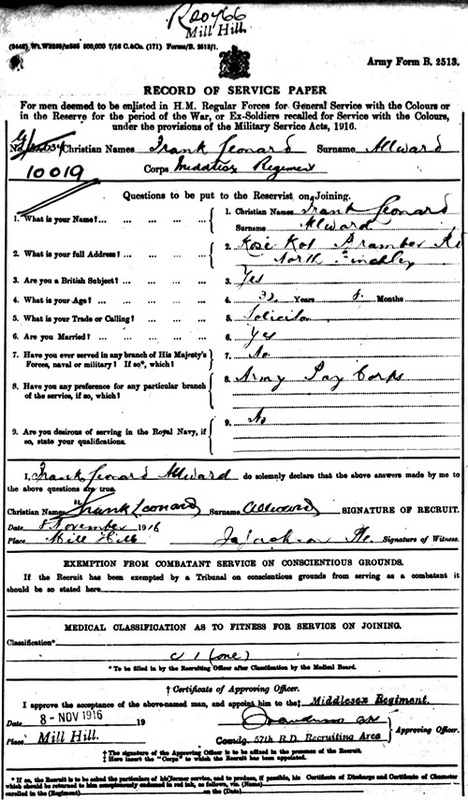 The 1901 census records him living with his parents and sister, Florence, in Mount View Road, Islington. Frank is employed at this time as an articled clerk, working for his father's firm of Solicitors 'Allward & Son' in Grays Inn Square. He later qualified as a solicitor and ran the family business before passing it on to his own son. He joined the 25th in 1908 (we believe the 3/25th). 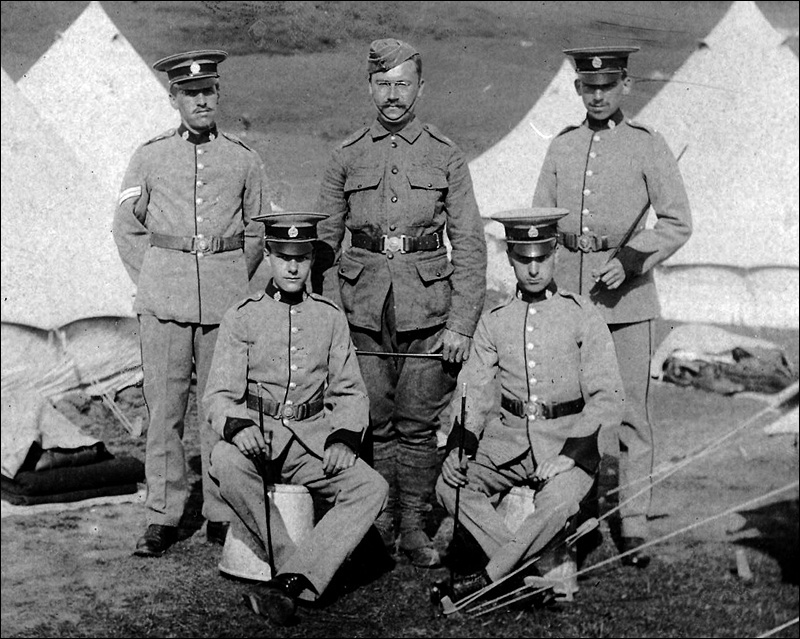 In 1916 joined the Army Pay Corps. 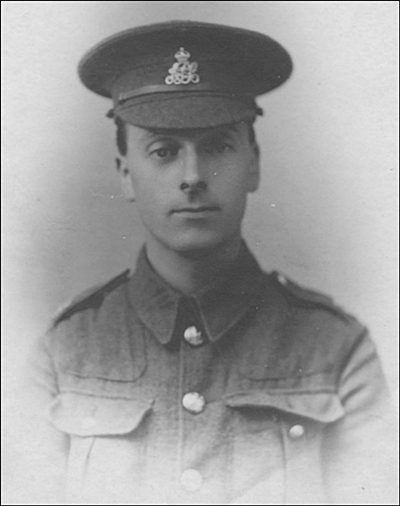 He doesn't appear in the WW1 medal cards or service records, so it is assumed that he did not serve overseas. 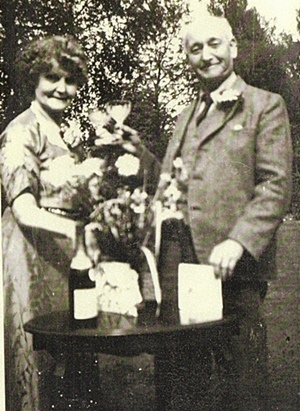 On 5 June 1911, Frank married Daisy Ellen Webb in Edmonton and together they had four children; Irene (died aged 10yrs), Stewart, Maurice & Leslie. Stewart Allward went on to serve in the Gordon Highlanders during WWII. Frank & Daisy's family home was in Whyteleafe, Surrey. 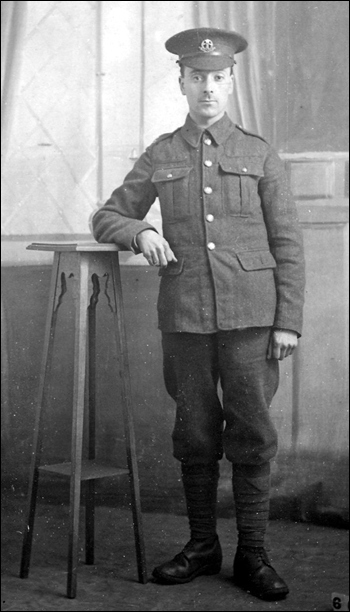 Frank died in 1960 at St Mary's Hospital, Eastbourne. Frank is sitting on the right. My thanks to Lynn Hainge for providing the above.